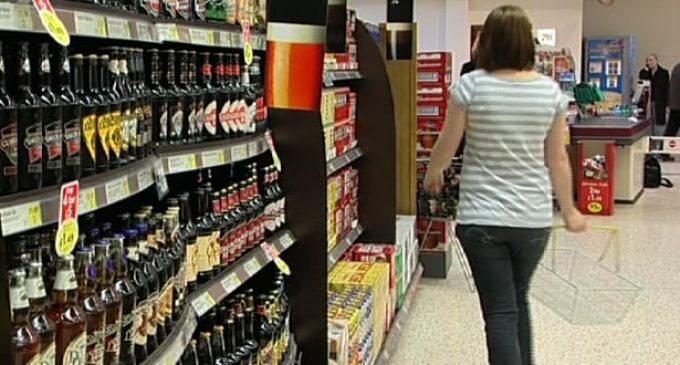 At least 50% of alcohol sold in Scotland does not meet the impending minimum price legislation. 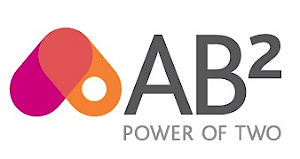 Spirits will be the most impacted as 69% of volume currently sold is below the 50p per unit threshold, according to measurement company Nielsen who analysed till sales (EPOS data) in nearly 1,200 stores in Scotland. Beer is the next most impacted (67% of volume is below the threshold) followed by cider (51%), while only 3.5% of wine sales would be impacted. 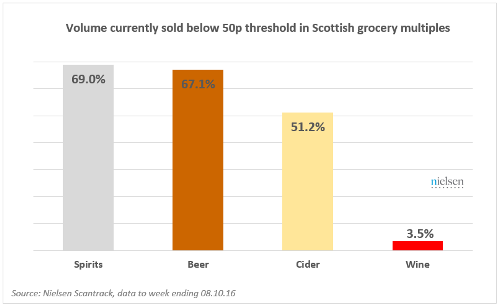 When looking at the top 50 selling products in each category, instead of total volume sales, 76% of the most popular spirits don’t meet minimum pricing compared to 74% in beer, 54% in cider and 12% in wine. Blended scotch and vodka are the two categories impacted most by minimum pricing legislation. Blended scotch, overall, will require prices to rise 20% to meet the threshold, whilst vodka requires a 16.3% rise. Nielsen’s analysis also raised four potential implications of minimum pricing legislation on retail behaviour. 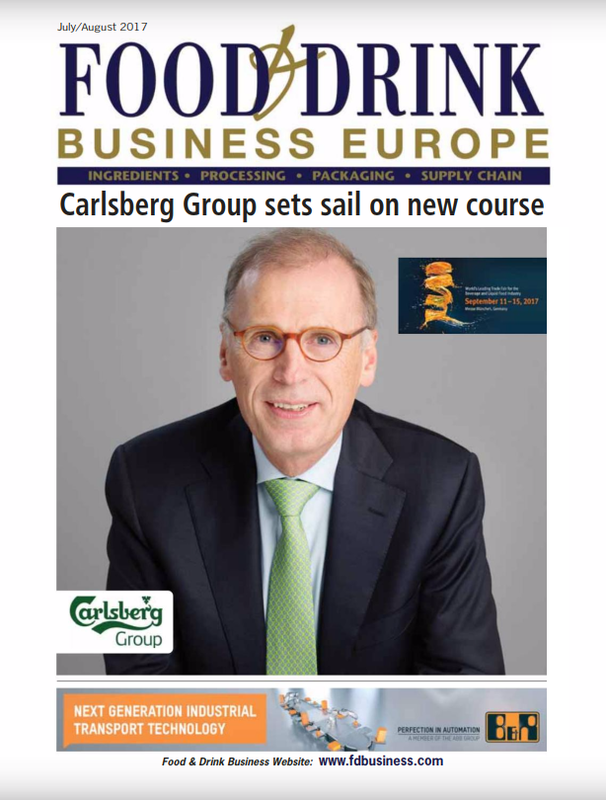 As with wine, premium brands, particularly in spirits, are likely to benefit as the price differential between them and cheaper brands diminishes so, “it’s a good time for people to “trade-up” to the more expensive brands, which is likely to have a negative impact on supermarkets’ own-label offerings,” says Praticó. She also expects a “near extinction” of major price-saving deals offered by retailers in spirits, beer and cider, as the likes of two-for-one deals would mean the effective price paid for each unit of alcohol would fall below the threshold.